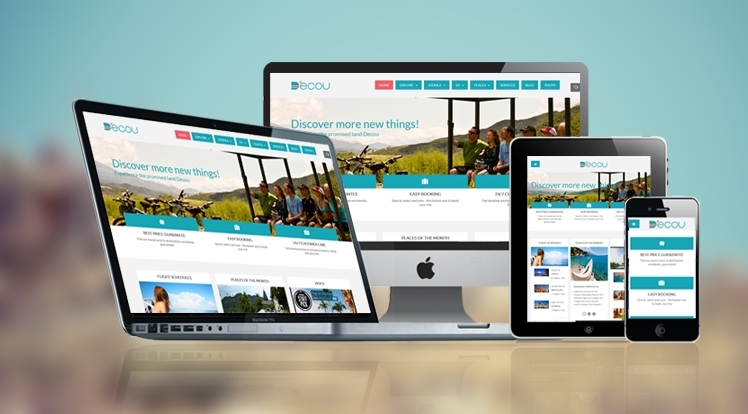 SJ Decou - a stunning joomla travel template for Joomla! Joomla 3.x, integrating the K2 component. Specially, this theme is integrated with K2 component and a wide range of powerful extensions: SJ Basic News helps you show category of articles, Mega Menu – a powerful menu is included in YT Framework, SJ Extra Slider for K2 with the great impression of various cool effects … Responsive joomla template SJ Decou will be a perfect solution for a travel related website, it helps travel companies to build up a fresh designed travel material as well as introduce useful information about tours, destinations, hotels… to the visitors. Build on YT Framework - a powerful responsive Joomla templates framework, this template is a totally responsive design as well as many configuration options included: colors scheme , menus, typography, google font... can be tweaked quickly to suit any need. Now let's take SJ Decou tour to feel more!